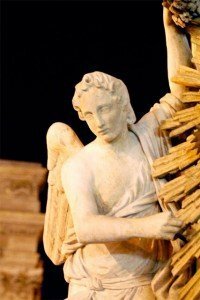 You are here: Home / Thoughts to share / Angels among us: what are they like? Books speculating about angels are popular these days. So, what are angels really like? A few of his points: Angels are never female, but rather genderless. They do not procreate. They are a separate race, existing in the supernatural realm, occasionally appearing in the physical world. The number of angels that were created is the number there are now. The ones who fell have no salvation available to them. Looking for Satan’s story? Find it in Isaiah 14:12-17. Prophetically describing the end of time, the account says Satan challenged God in his heart, wanting to make himself “like the Most High.” But, after shaking the earth and making the world a desert, overthrowing the cities and not letting his captives go home, finally he is brought down to the depths of the pit.